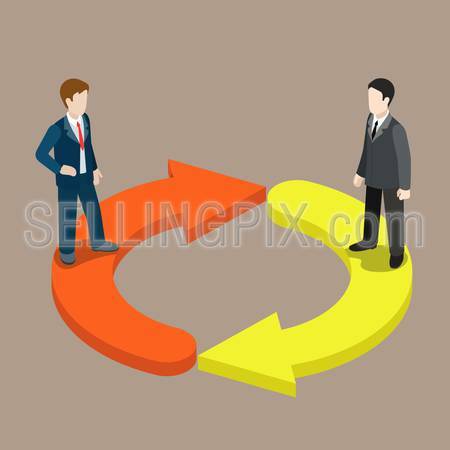 Flat 3d isometric switch staff change management concept web infographics vector illustration. Two businessmen on refresh icon arrows. Creative people collection.